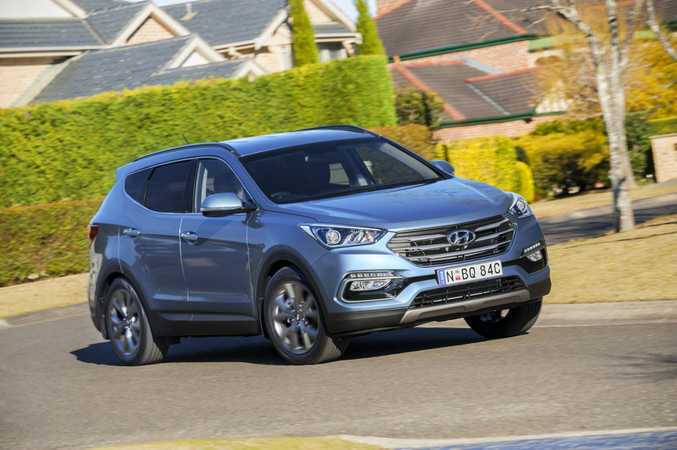 BIRTHDAY TREATS: Hyundai's 30 years in Australia is marked with specials for its two strong-selling SUVs, featuring desirable kit for mid-size Tucson and large Santa Fe. JUST mention the word and the Hyundai brains trust cringe. The Excel may be frowned upon nowadays, but the compact hatch really put Hyundai on the map in Australia. Renowned for being cheap and cheerful, they were more prevalent than happy pants in the 90s. But over the past 15 years the brand has made monstrous leaps forward in quality, fit, finish and value. 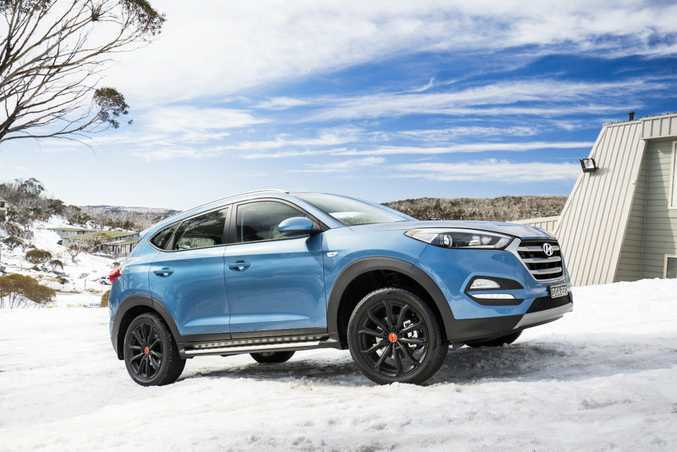 Many had given Hyundais the cold shoulder over the early years, so it was fitting that marking its 30th anniversary in Australia was done in the high country of New South Wales. Down Under we have embraced the South Korean marque, which is now the nation's third most popular brand - taking the bronze behind Toyota and Mazda. 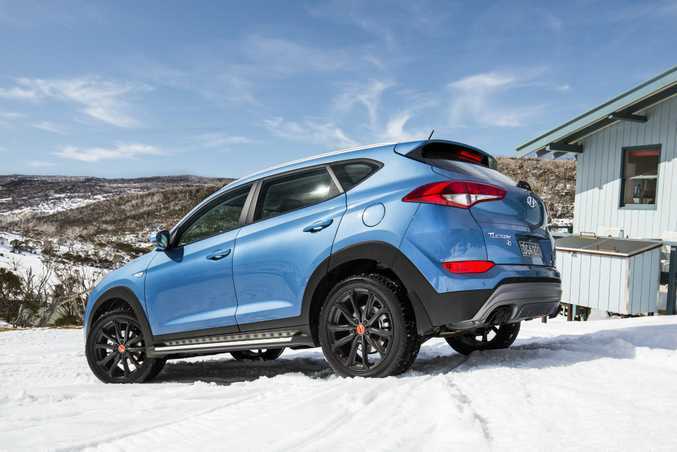 To celebrate the milestone, Hyundai has released two special editions of its popular large and medium sized SUVs. Are they so special you'd lodge them straight in the pool room? Well, no, not quite. Only 300 examples of the $37,750 Tucson and $40,790 Santa Fe 30 Special Edition have been produced. 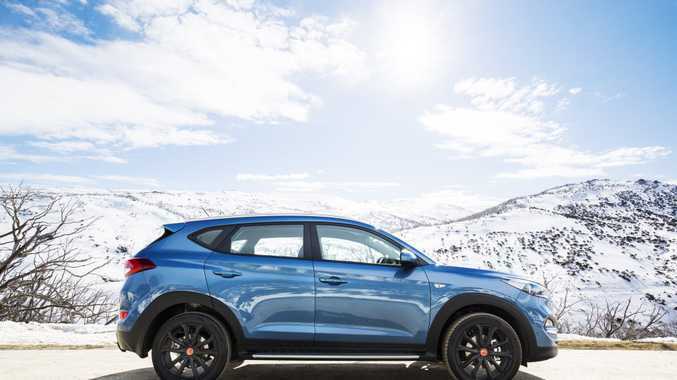 They're not brimming with hand-crafted materials or rare gemstones, rather Hyundai has delivered some solid-value proportions with good looks courtesy of some tough sidesteps and black alloys. Similar to your mid-spec versions of the standard ranges, the layouts are clear and concise. Touch-screen operation of the stereo and various apps makes things simple and intuitive. For iPhone owners there is Apple CarPlay available which essentially mirrors the device to improve functionality. 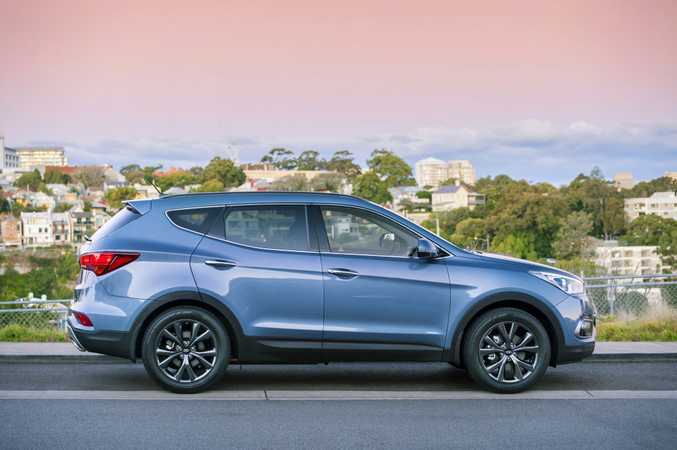 Hyundai has released the Tuscon 30 Special Edition to make 30 years of Australian operation. 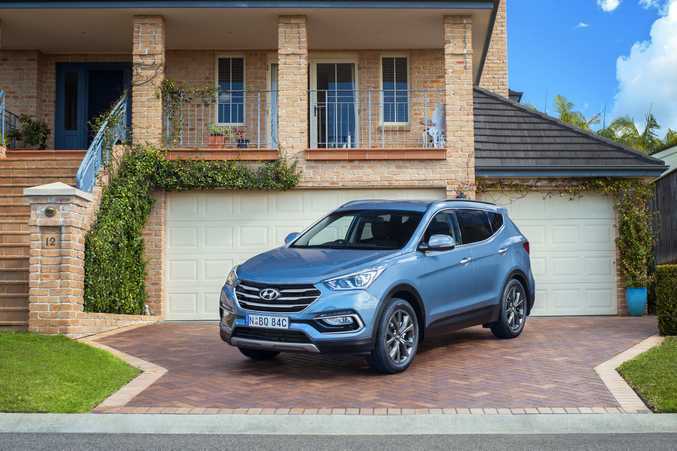 While the Santa Fe is a large car which can easily carry five up front and another two kids in the rear, the Tucson is surprisingly spacious for its size. At one stage we managed three blokes across the back seat, and while encouraging closer friendships, it can be done. So are they all show and little go? 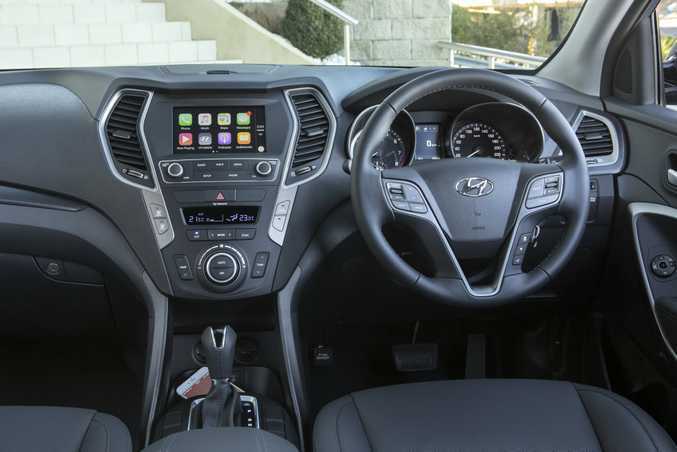 The Tucson comes with a zesty 1.6-litre turbocharged four-cylinder petrol partnered with a seven-speed dual-clutch automatic, while the Santa Fe gets a strong and robust 3.3-litre V6 petrol which is a derivative of what we've seen used in Kia's Carnival and Sorento (Hyundai's sister company). Both offer ample motivation and drivers will appreciate each for their willingness to get along with urgency. Especially impressive is the Tucson, which proved refined and balanced both on the open road and in traffic through the nation's capital. Jumping on the throttle there is power from the get-go, and you can have confidence getting away from the line swiftly and also darting into small opportunities on roundabouts and lane changes. When it comes to the Santa Fe, that V6 is a smooth unit. We've appreciated its ability in other derivatives, but the only drawback is the diesel option is so good and more economical at the pump. What are they like when the going gets twisty? Both variants remain well planted, and while the steering is generally light, you can alter the feel between "normal" and "sport" for more weight. We carved up some bends, and the all-wheel drive Tucson nonchalantly tip-toed its way through some hairy slippery stuff on the mountains near Thredbo. So what cool gear do you get? The Tucson comes with six airbags, 17.7cm colour touch-screen with six-speaker stereo featuring Apply CarPlay, full Bluetooth compatibility, rear view camera, cruise control, leather appointed seats with two-way electric lumbar adjustment, grey side steps and rear diffuser, 19-inch alloys, dual exhaust pipes and a blue metallic colour scheme. 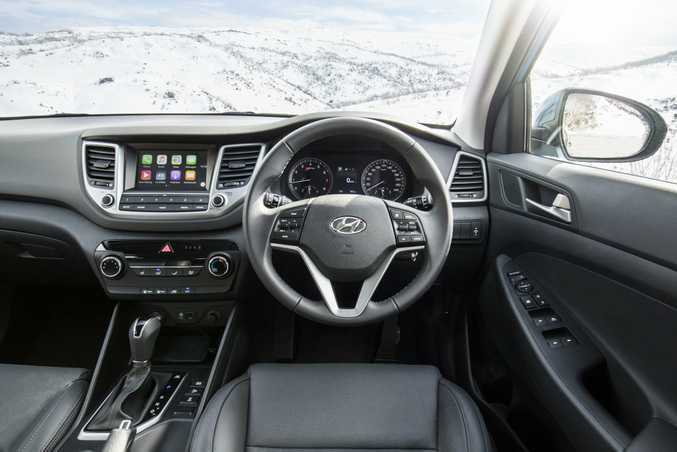 Santa Fe 30s gets similar kit, but gain an extra airbag, 8.9cm TFT driver's instrument cluster, dual-zone climate control up front and air-con in the rear, cooling glovebox and tinted glass. While there isn't any of the advanced safety suite like blind spot warning or radar cruise control, both are equipped with all the vital gear associated with stability control - including anti-lock brakes, traction control, brake assist, stability management, hill-start assist and downhill brake control. 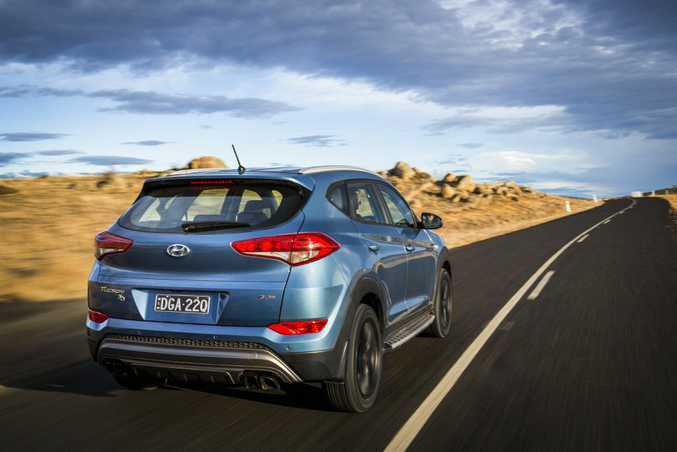 With annual servicing, capped prices and a five-year warranty, it's easy to see why Aussies find Hyundais stack up in the value equation. 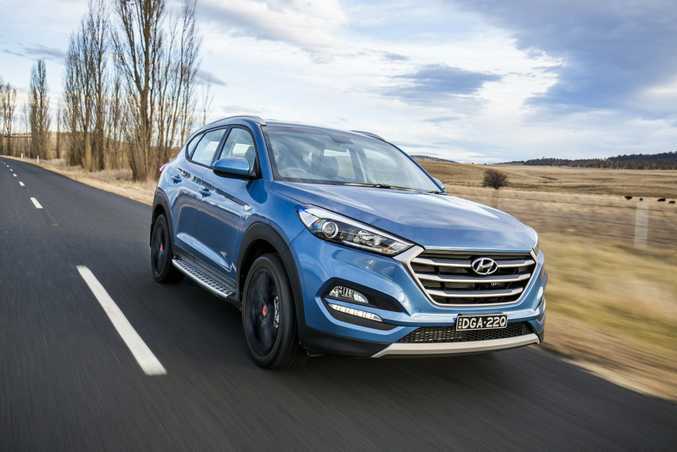 The turbocharged Tucson should return fuel consumption figures in the realm of eight litres for every 100km, but the V6 Santa Fe will be closer to 10. Hyundai is a brand on the incline. Next year we'll see the performance arm take shape, along with the launch of the standalone Genesis brand which will look to have a serious crack at the luxury market. These two special edition offerings give strong value for money, featuring good looks and attractive packaging. The 30s are a showcase of the virtues which have seen Hyundai change perceptions and earn new found respect. Model: Hyundai Tucson 30 Special Edition. Details: Five-door five-seat all-wheel drive medium-size sports utility vehicle. Engine: 1.6-litre turbocharged four-cylinder petrol generating maximum power of 130kW @ 5500rpm and peak torque of 265Nm @ 1500-4500rpm. Towing: 1600kg (braked); tow ball 100kg. Bottom line plus on-roads: $37,750. Model: Hyundai Santa Fe 30 Special Edition. Details: Five-door seven-seat front-wheel drive large sports utility vehicle. Engine: 3.3-litre V6 petrol generating maximum power of 199kW @ 6400rpm and 318Nm @ 5300rpm. Consumption: 9.6 litres/100km (combined average). Towing: 2000kg (braked); tow ball 100kg (150kg with Hyundai kit). Bottom line plus on-roads: $40,790. The Hyundai Santa Fe 30 Special Edition is limited to 300 units.